If it's health food you are looking for, don't look left, right or up. It's right here in front of you. It's so quick to prepare and so tasty too. 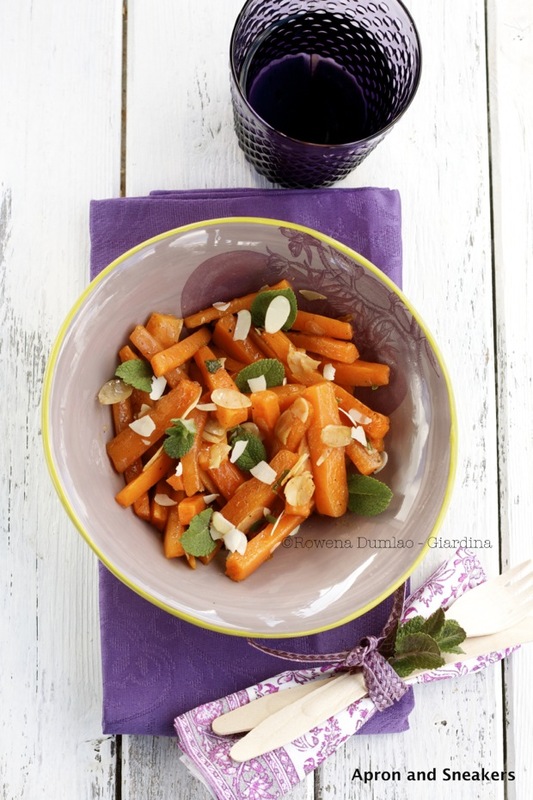 The Marsala wine gives this dish a particular lovely taste that goes so well with the slight sweetness of the carrots and the almonds and mint. If you don't have Marsala wine (but I advise you to always have one in the cupboard because it's great for cooking & drinking! ), you can substitute it with other fortified wines like port or sherry. The taste is not the same but both wines will lend their own particular good flavors too. This side dish goes well with meat or fish but personally, I think I prefer it with meat. You might find it better the other way around. I am leaving you with this recipe for this weekend. It's my son's birthday and there's a whole load of things to prepare. It will be his first no-parent-around party (except me & my husband running the show of course) and I am imagining that keeping a group of 8-year old kids occupied and happy for a whole afternoon is a big job. Maybe I can pop in on Sunday for a new recipe to share or just share some photos in Facebook. 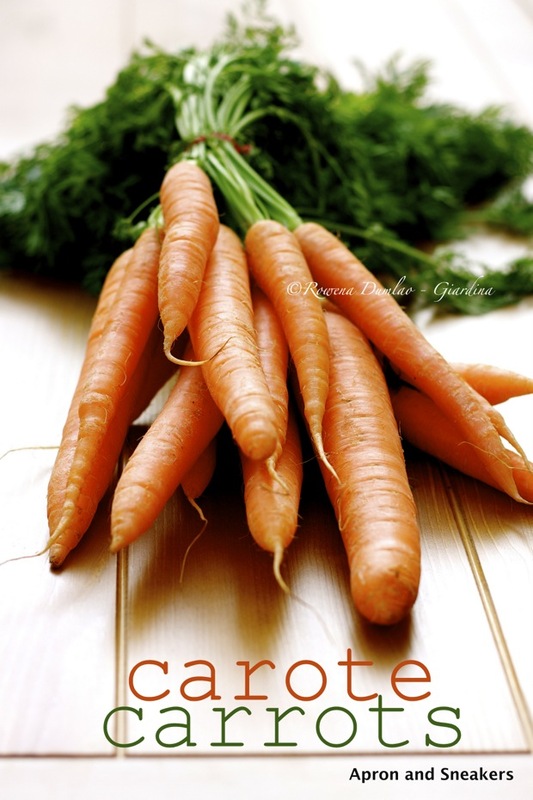 In any case, have a great weekend and I hope you enjoy this simple and delicious carrot side dish! Boil the carrots until almost tender. Drain and set aside. In a saucepan, sautè the garlic in extra virgin olive oil over medium heat. When the garlic turns golden, discard it. Sautè the carrots for 5 minutes. Pour the Marsala then let the alcohol evaporate. 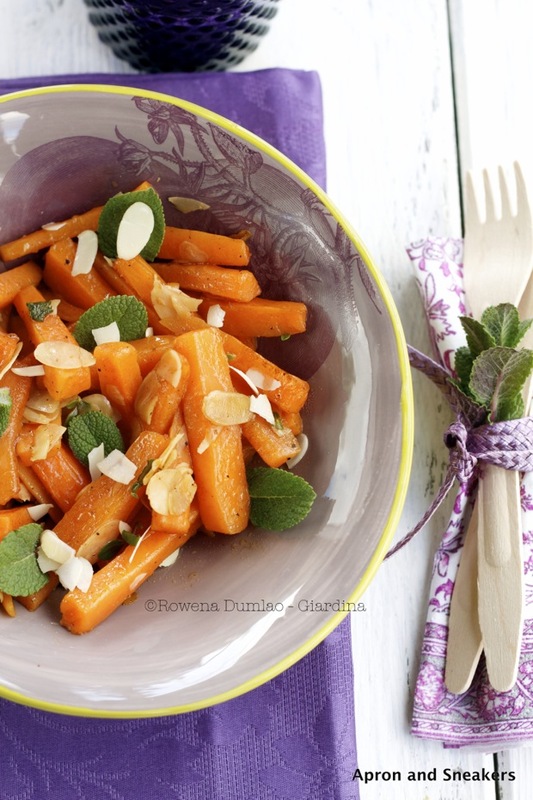 Sprinkle with mint & almonds.